I guess I am a little late to the party with this one, but here we have the Too Faced Semi-Sweet Chocolate Bar Palette. This was a gift from my boyfriend and its safe to say I was very happy when I unwrapped this. A palette full of neutral brown shades, what more could you ask for? Too Faced are a brand renowned for amazing products that have got the beauty obsessives buzzing. I’m fairly new to the brand and only own their Shadow Insurance Glitter Glue (which is a firm favourite by the way), so I’m pleased to be trying more bits from them. Okay so onto what I actually think of this palette. I’m a big neutral eyeshadow lover, and think its pretty much the only thing that suits me. You’re definitely not short of amazing neutral shades in this palette with 16 shades. The shadows are all very pigmented and actually quite buttery. I haven’t found any serious fall down with these shadows which is such a bonus. The shades I’ve been loving most are, Truffled, Puddin’, Rum Raisin, Mousse and Butter Pecan. Truffled is a great chocolatey brown shade for the crease, as is Puddin’. Rum Raisin, Mousse and Butter Pecan are great all over lid shades. I think those three would be great for a wash of colour as well if you were in a rush. Basically, I love this palette and it has such a good choice of shades and I think this could suit so many skin tones and eye colours. 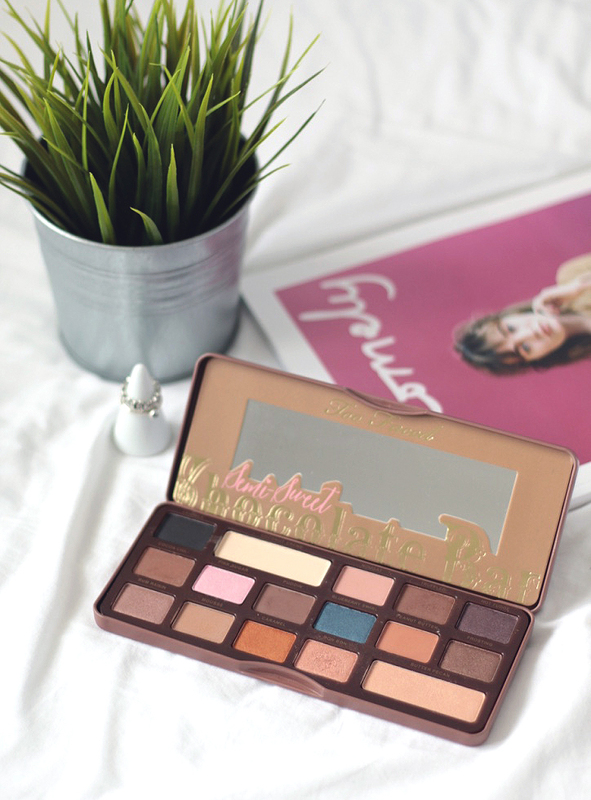 Whats your favourite Too Faced palette?